On 9/3/2005 I stood up to get my blood pressure checked after a dialysis treatment. I don"t remember anything, but I was told I said I didn"t feel good then said "wow!" and dropped to the floor. I was given CPR and the paramedics were called. I was shocked four times before I got a heartbeat back. My husband was told to prepare for my death. I was given a 5% chance of survival. I woke up 5 days later with no memory of what happened. My potassium dropped too low while on dialysis. I already had heart issues so the drop in potassium caused the problem. I was given an implanted defibrillator and I am doing great now except for some memory problems. I even got a kidney transplant! 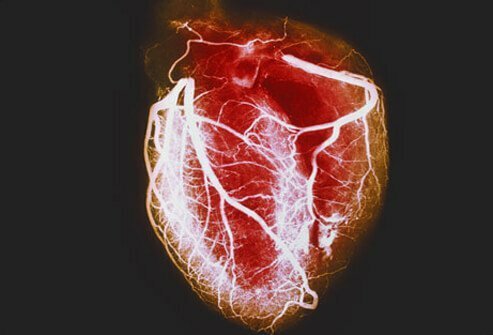 I suffered a sudden cardiac arrest (SCA) at work on 6/2/2013. I had absolutely no symptoms that day. I didn't feel bad or have any warning about what was to happen. I was in a room with a fellow co-worker and she heard me making snorting noises. She found me slumped over in a chair and was not breathing. She alerted some other co-workers and they found I had no pulse or respirations. Fortunately we have CPR and AED training every year at work and have AEDs installed. They immediately began CPR (cardiopulmonary resuscitation) and I needed shocking from the AED (automated external defibrillator) 3 times before the EMS (emergency medical services) arrived. Advanced life support was begun and I was shocked another 2 or 3 times in the ambulance. I was airlifted to a local hospital. I woke up 4 days later on life support with absolutely no clue what had happened. After extensive testing and taking in account of my past history, an ICD was implanted. I have since made a full recovery and have had no recurrences. I would just like to point out that I had had 4 or 5 bouts of syncope prior to having SCA and the reason was never found for it, even after having a nuclear stress test, heart echocardiogram, tilt-table test and wearing a monitor for a month! Nothing could be found because these bouts didn't happen while I was hooked up to heart monitoring equipment. I am very fortunate to be alive and thankful for that. CPR and AED saves lives!